The new Freshwater Oasis replaces the previous salt-water reef interactive exhibit at this location. Engineering solutions required that the existing pool be drained, re-graded, a new structural slab and waterproof membrane installed that would provide a water-tight fresh-water exhibit. Design for resisting buoyancy due to high ground water and hydrostatic pressure during construction was critical in providing a safe site while reducing the length of time that dewatering was required. 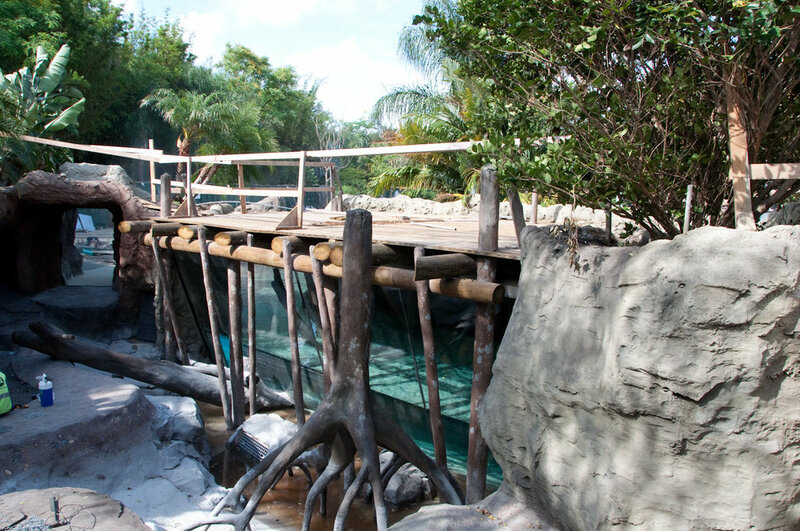 Site features include a partially underwater viewing shelter, where visitors can experience a “nose-to-nose” moment with sea otters.